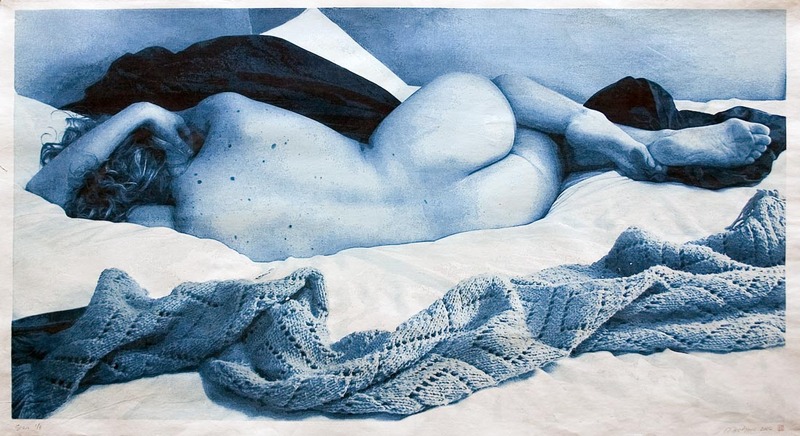 The large (42 x 77 inch) prints of “Sara” reclining on her messy bed have been successfully completed — I selected 8 for the edition plus two proofs. There is some variation among the edition, the greatest differences being in the depth of the deepest tones behind the head and in the top background — these were introduced when I used the baren to print one of the blocks, pressing too hard about half the prints resulting in some loss of color at the edges of the block forms. Something to remember for next time! But overall the ten printed sheets are reasonable uniform, all things considered. Good lord, it’s hot in my studio! 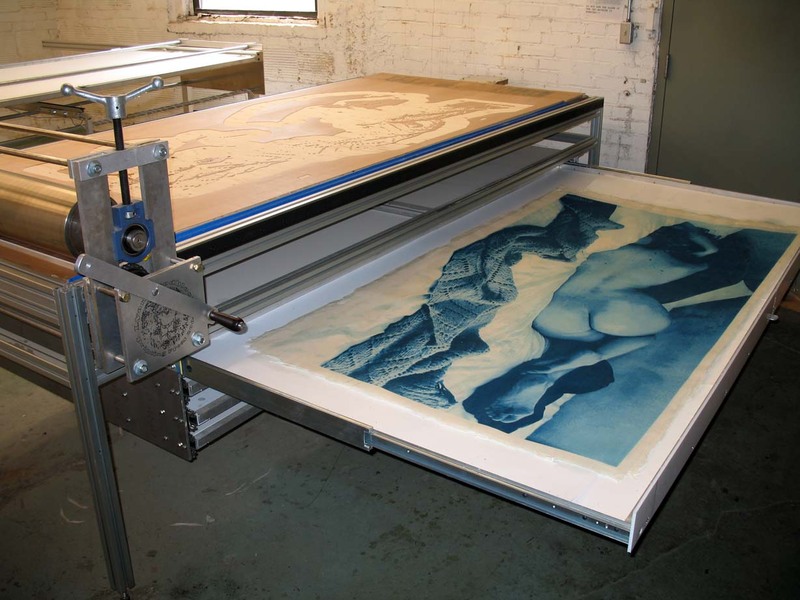 I’m working on “Sara”, a 17 block woodcut on ten sheets of 42 x 77 inch Iwano Ichibei hosho paper. Sweaty work and EXHAUSTING!!! I’m managing to print about 3 or 4 blocks per day and that’s really all I am able to manage! But I’m getting better and better at using the large press I built about seven or eight months ago, even though this is only the third edition I’ve pulled on it.